Chic wide brim woven straw hat with a ribbon finish. 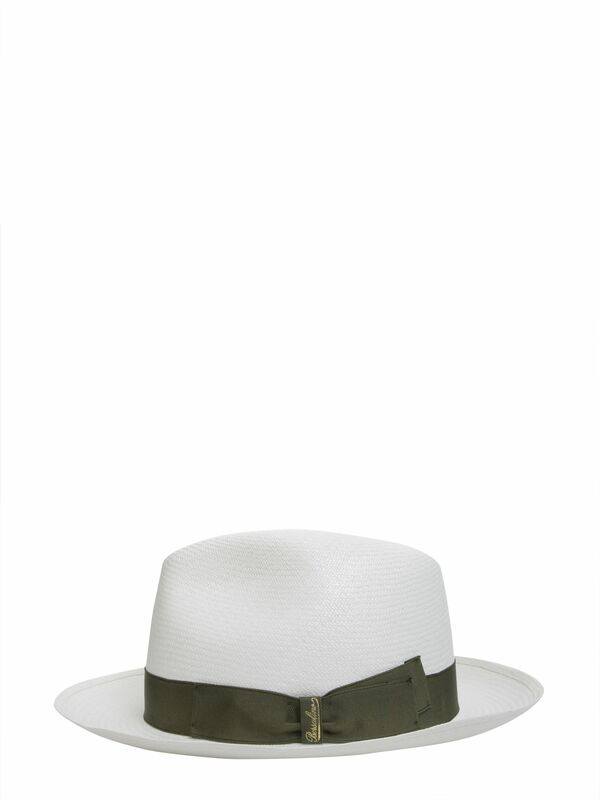 ; Wide brim; Panama straw/viscose/cotton; Spot clean; Made in SpainSIZE; Diameter, about 22"
Holiday shopping has never been so easy than with our mens panama hat. In a straw design with wide brim and black ribbon, this hat will add a stylish touch to your summer looks.